The first time I had this Hummus dip was 7 years ago on a Singapore Airlines flight to Los Angeles. It was served with biscuits as snack for the long-haul flight. Since then, each time I flew Singapore Airlines flights, I would hoping they would serve this dip again. Nevertheless, none. And, I never knew what this dip is called. 7 years later, I chanced upon this dip at Cold Storage. When I saw this dip and main ingredient is chickpeas, I was elated. Finally, finally I found this long-lost dip that I have been waiting for long. This is a rather unique dip unless the universal Nacho cheese dip or Salsa dip. It has a bit of sour and spicy in the midst of chickpea sweetness. You can blend it till smooth or leave a bit of chunks. Either way is just as delicious. You can serve this as a starter. Reason simply, after eating few pieces, my stomach started to rumble. I was hungry. I served this dip with baked lentil chips. Baked lentil chips is gluten-free and since it is baked, it is a healthier alternative to potato chips. I haven’t tried it with other types of chips like Tortilla chips or Nacho. Chickpeas are also known as Garbanzo beans like most legumes have high fibre content. It supports digestive tract function and a source of antioxidants. It decreases cardiovascular risks and regulates blood sugar. It increases chances of satiety and decreases caloric intake, in short it is a positive relationship with weight management. (source: www.whfoods.com). 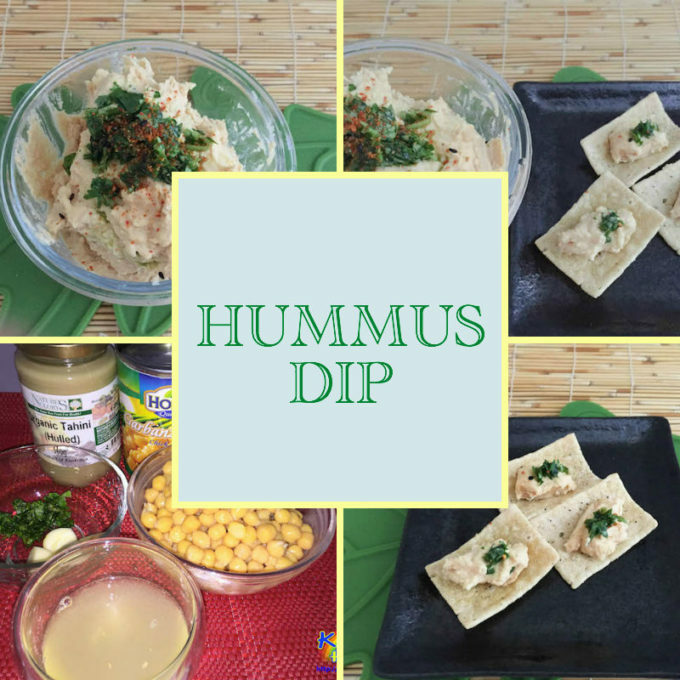 You can either cooked the raw chickpeas or get the canned ones to make this dip. I have both at home and chose a lazy way – open a can of Garbanzo beans. My family members love this dip as well, although this was the first time they ever tried this dip. 1. Soak the Garbanzo beans overnight. Drain. 2. Cook in water for 1 hour or till soft. 3. 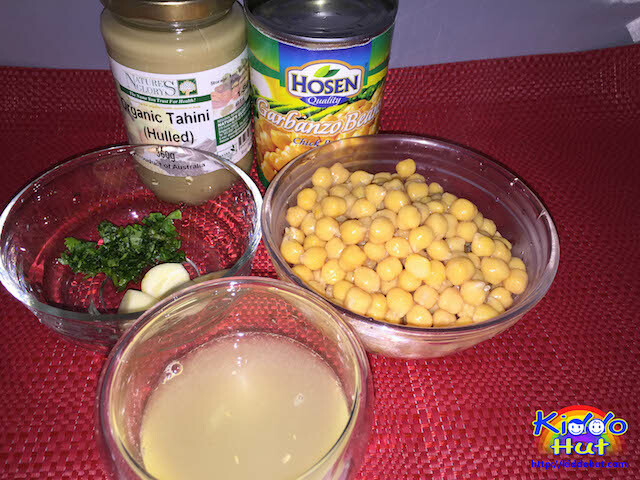 Blend the Garbanzo beans, tahini, lemon juice, garlic and salt in a blender till smooth. 4. Drizzle the olive oil, and sprinkle the paprika and fresh parsley over the garbanzo bean mixture. 5. 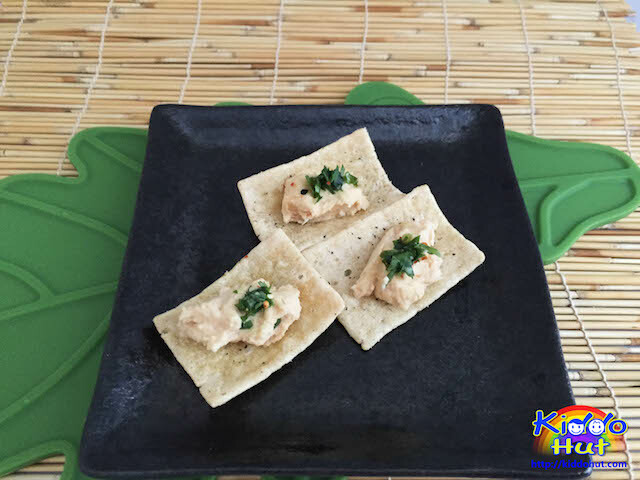 Serve with chips or plain biscuits.